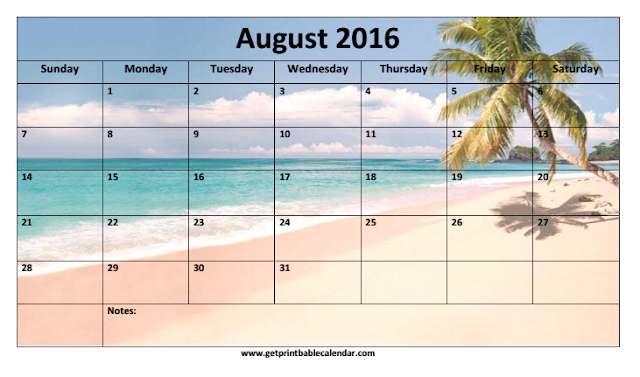 Apart from blank calendars, holiday calendars, moon calendars and many others, here we've come with a new category of Beach calendar where you will find beautiful monthly beach calendar templates. 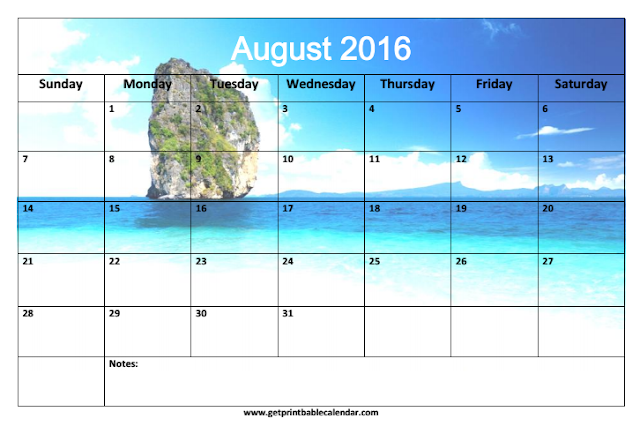 Through this post we're providing templates of August 2016 Beach Calendar that you can use to manage your monthly activities. There are total of four templates in this page, available in downloadable formats such as PDF, and word (doc). Download the image i.e. 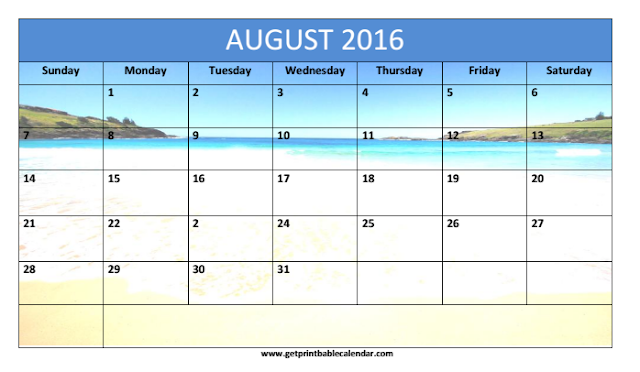 jpg or png version by clicking right on the calendar image. It is recommended to take a print-out on a white paper A4 sheet for a better quality of print. Use them to manage your day to day life activities, the usage of calendar templates is not limited at all. These templates are super flexible and can be used in anyway you want to. For the month of August 2016, we've covered other categories as well that you might be interested in such as blank calendars, holiday calendars, moon phases calendar etc, click on the links shared below. Download the template that you liked the most, the download link is available right below the calendar image. If you want more beach calendars then use the comment box provided below to reach us. 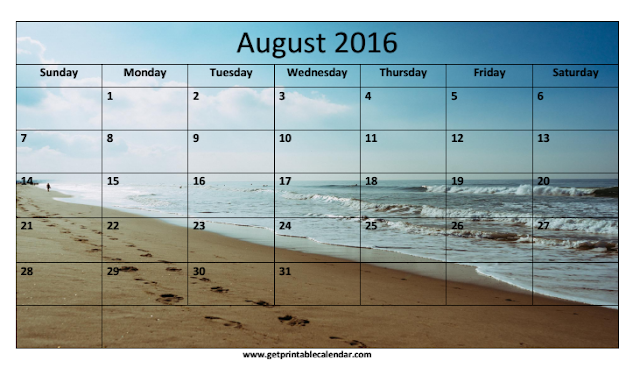 If you liked this post of August 2016 Beach Calendar Printable then please share it with other people as well who might be interested in these type of calendar templates. Check out our other articles as well for calendars in various categories and formats.